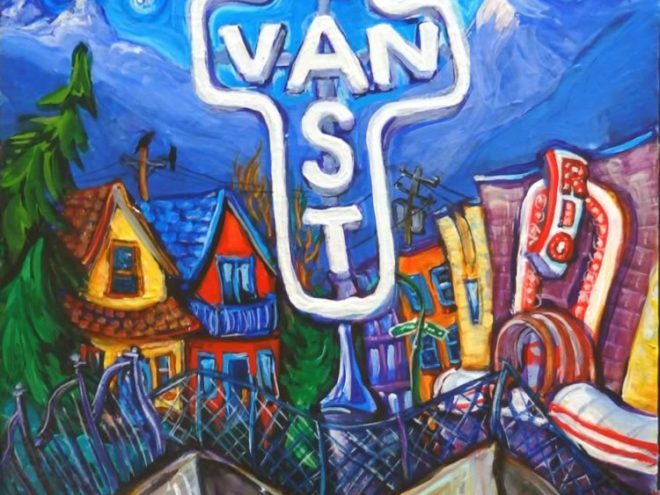 The many symbols of East Van. 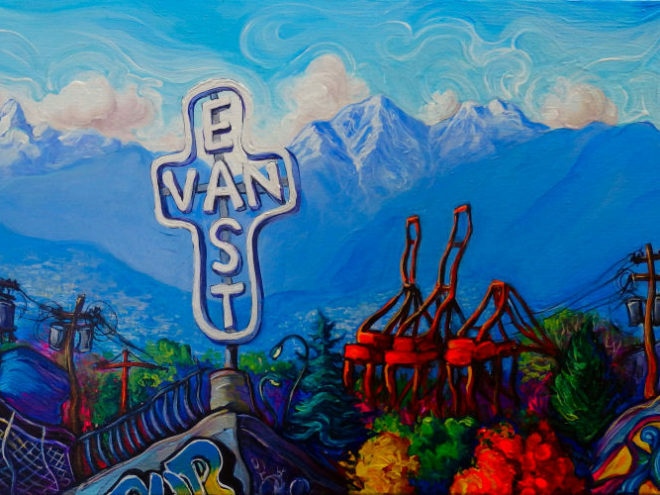 Winter version of my East Vancouver icon panorama scene. 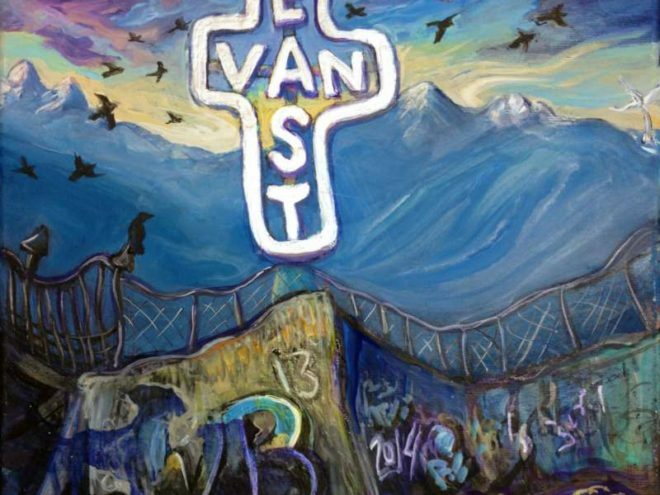 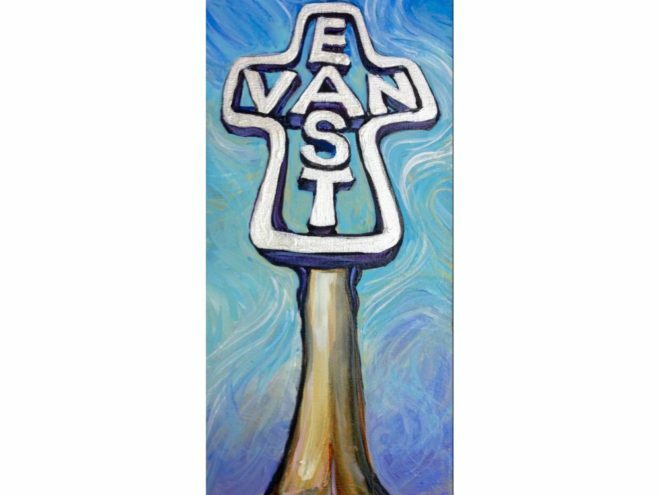 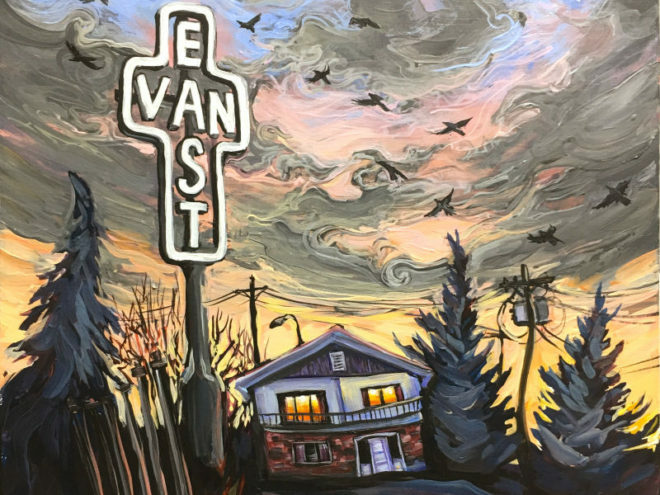 The East Van cross is the most significant symbol of East Van, but you can’t be in East Van and not think of crows, graffiti, and concrete. 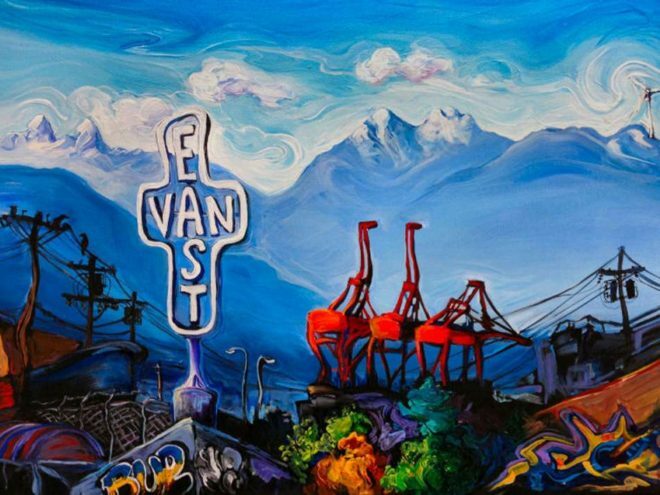 This perspective of the East Van cross makes it look towering and monolithic. 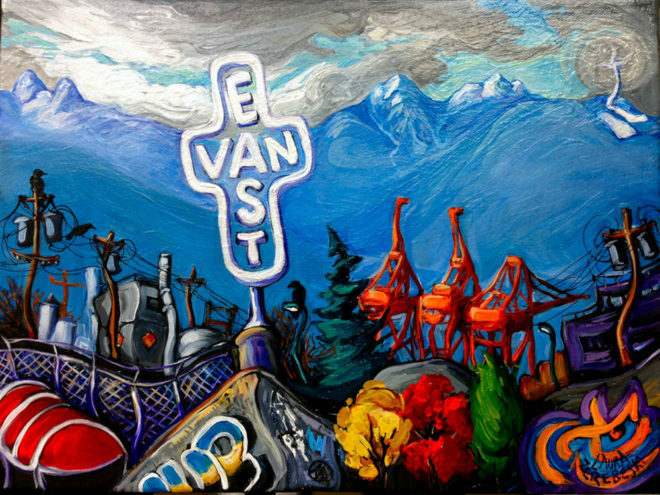 The view is a collage of many landmarks that East Vancouver residents know and love. 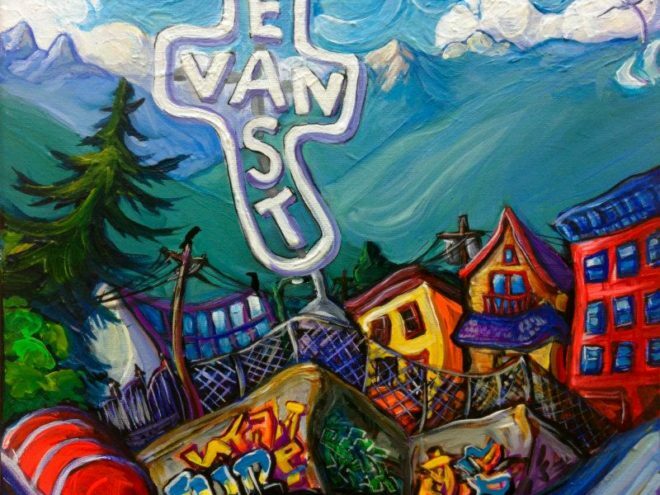 Theatrical backdrop design the East Van Panto. 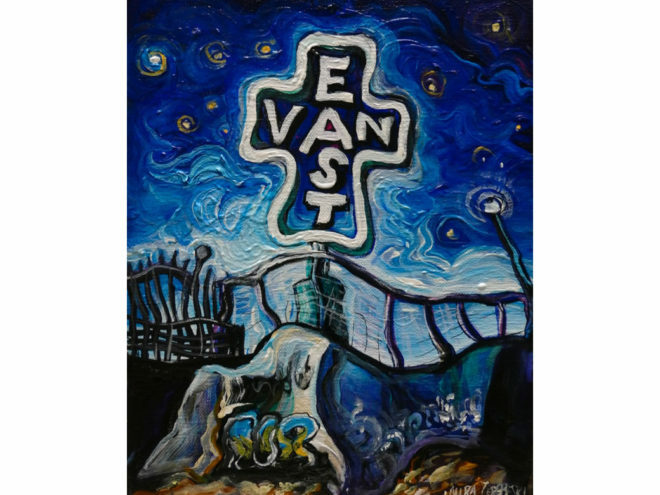 All the symbols of East Van.